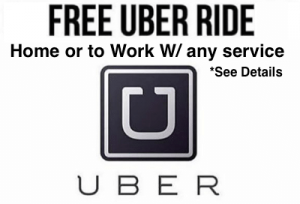 Buying New Tires or Need Tire Repairs? Not Sure? 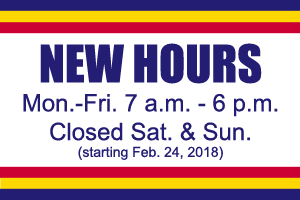 Let the staff at Pride Auto Care Help! Why should you buy Tires from Pride rather than discounted Big Box Stores? 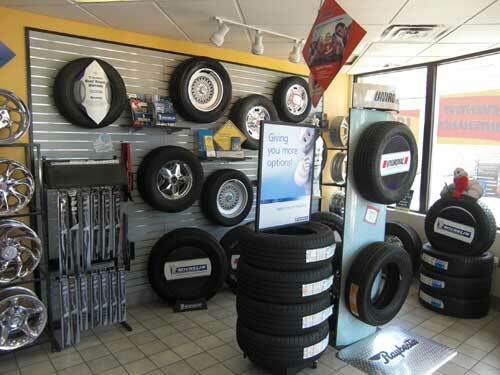 At Pride Auto Care, we know tires and can help you with ANY TIRE for ANY CAR or LIGHT TRUCK. And if you need tires, WE HAVE TIRES FOR VIRTUALLY ANY BUDGET. That’s our promise! From entry level all-seasons to top-of-the-line Michelins, we have a tire for every customer…PERIOD! ations (see your vehicle’s owner’s manual for correct tire sizes and pressures for your car; psi=pounds per square inch). Check the tire tread and the air in your tires every month or as needed if they appear abnormally worn or lower than normal on air. Determine if your tires are safe to drive on, in need of service, or need to be replaced. Tires can get damaged and all tires will eventually wear down or wear out completely. Here are some ways to tell if you need new tires. The proper way to repair a tire is to patch the tire from the inside and fill the puncture hole. If someone offers you a plug repair, refuse! Plug repairs do not involve taking the tire off the wheel for a proper inspection. A plug is simply inserted into the punctured area. Plug repairs are not reliable and can lead to tire failure. Insist on a full inspection and patch and fill repair on the inside of the tire. At Pride Auto Care, we patch all tires from the inside! It’s a good idea to check your tires once a month for visible damage and excess wear. 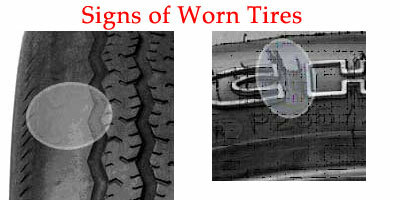 Narrow bands may appear in the grooves across the tire’s tread. See the wear bars? 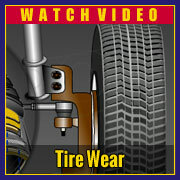 When the wear bars are even with the tread depth, only 2/32” of tread remains, replace the tire. The Washington Quarter Test versus The Lincoln Penny Test. 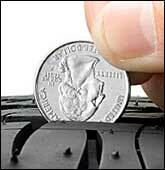 For many years, the Lincoln penny was the tried and true test to know when to replace a worn tire. That approach has been updated by the “new” Washington quarter test and accepted by many in the tire industry.